The Left Wing Blogosphere – an update. An early and highly prized polemic example of social engineering by Jesse Eaglin in 1931. You will recognise the technique, indoctrination of the children. 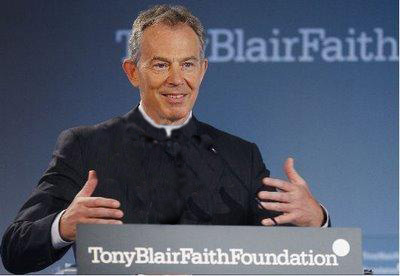 The Vicar of St. Albion. The Middle East Peace Envoy was in town to rouse the faithful and chide the doubters. The aims of punishment are said to be fivefold. The Mail on Sunday has a track record of making up stories. See HERE and HERE . The wonders of capitalism in these recessionary days. Simply Direct, a beverage distributor in Ireland, will shortly start distributing a new product to around 4,000 retail outlets in Ireland and England. Rebuilding Marxist Doctrine in Football…. h/t to the excllent Croydonian. Who's going to surf the Internet with one of these? Debtmanship – Man Bites Dog…. A Dallas man, mired in the recession that has caught so many multi-property owners during the collapse of the sub-prime market in the US, has developed an interesting and profitable side line. The Ken and Barbie Show. The Laziness of the Desk Top Journalist. What’s going on ‘ere then? O Little Child of Edlington, how still we see them lie…..
Me? The 13th Duke of Meeja-Blackarts? At the Chilcot enquiry? With my reputation? Has no one thought of the consequences? There’s no going back, is there?